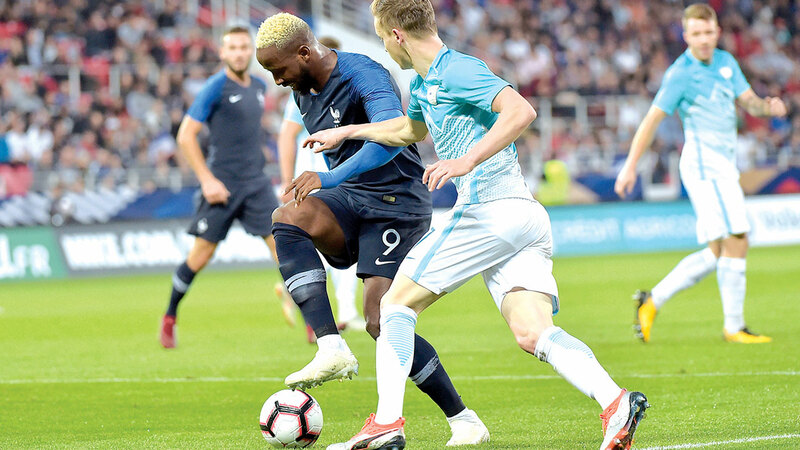 France let their opponents do the hard work on their way to winning the World Cup, running less than most teams and enjoying less than 50 per cent possession throughout the tournament, a FIFA technical report showed yesterday. The report also showed that the French scored once in every six shots on goal – compared with once in 36 shots for Germany, who were knocked out in the first round. As expected, the FIFA report showed that Spain enjoyed the most possession at an average of 69 per cent, but the style of play that brought them great dividends from 2008 to 2012 proved their undoing in Russia as they were knocked out in the second round. France ranked a modest 19th out of the 32 teams in terms of possession, controlling the ball an average of 49 percent of the time in their games, behind Saudi Arabia, Tunisia and Peru among others. They also ran an average of 101 kilometres per match – the fifth-lowest figure at the tournament ahead of only Argentina, Mexico, Nigeria and Panama. Serbia, who covered nearly 113 kilometres per match, ran more than any other team but went out in the group stage. “France went out to win the matches in the most appropriate way for the talents they had,” former Scotland coach Andy Roxburgh, a member of FIFA’s technical study report team, told Reuters by telephone. But he said it would be very unfair to say France were dull. “They scored four goals in the World Cup final and they were incredibly entertaining in the counter attacks. There was so much quality in the team to admire,” he said. If there were a prize for entertainment value, however, it would likely to go to top scorers Belgium for their bold tactics in the 2-1 quarterfinal win over Brazil. “You are entertained if you see people take a risk, and Belgium versus Brazil was without doubt the most interesting game tactically,” said Roxburgh, referring to Belgium’s decision to leave three players in attack. Roxburgh said one of the attractions compared with club football was that teams still maintained their own identities and style of play – even though most of the top players are now based in Europe. “If you look at the Champions league right now, you can probably identify three different basic schools of football coming from individual coaches from certain regions,” he said. “There is no transfer market so you use the players who are available to you, and those players are brought up in home territory with the kind of philosophy and attitudes and mentality which come from there,” he added.